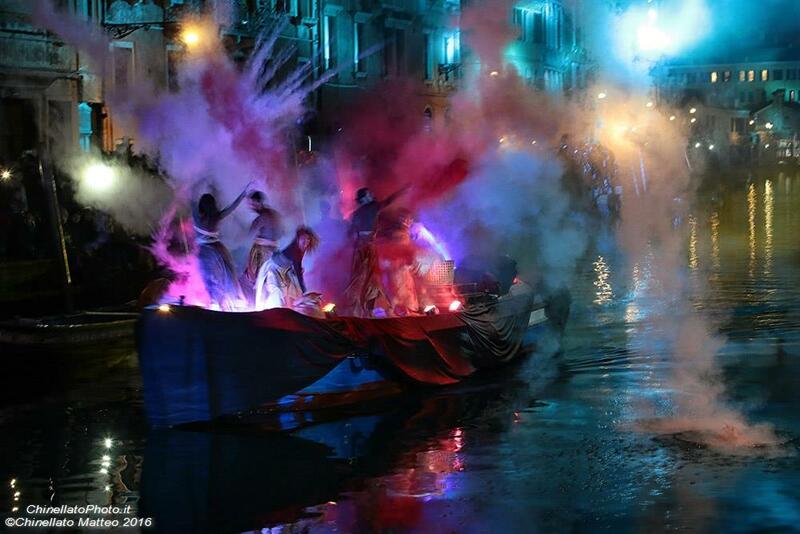 The magic of Carnival will be inaugurated on the water, as befits a town who lives in symbiosis with this element. 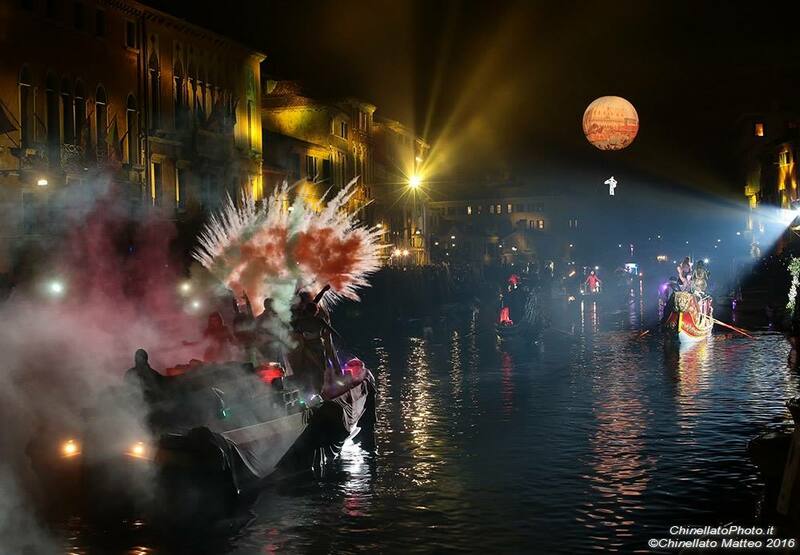 Saturday, February 11, starting from 18:00 with replica at 20:00, by the Rio in Cannaregio, you can attend, at no costs, to a water and air spectacle: music, lights, and artists will contribute to make the Venetian feast on water a special one, creating a unique atmosphere. The evening's program includes a new aquatic event which will officially inaugurate the celebrations of the Carnival of Venice 2017. The inauguration continues on Sunday 12 February with the rowing parade of the Venetian rowing associations that will cross the Canal starting from Punta della Dogana until Rio de Cannaregio. Upon arrival of the boats, around 12:00, there will be the opening of the gastronomic stand to enjoy the Venetian tradition with the palate, as well as with eyes and ears: music and animations will accompany the tasting of cicheti, Venetian specialities, fritole and galani.